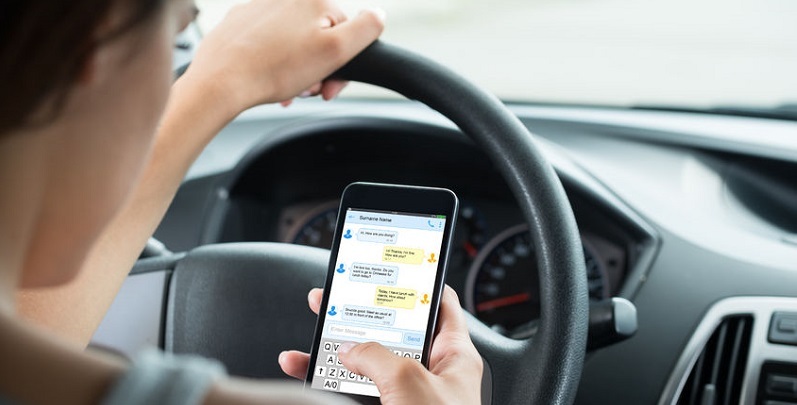 When you are talking on the phone or sending a text while driving, your brain is simply not capable of focusing entirely on either activity, putting you and others on the road at risk of an auto accident. Modern society encourages the idea that multitasking is the best way to get things done. According to a study conducted by researchers from the University of Sussex in the UK, the MRI scans of frequent multitaskers exhibited less brain density in the region responsible for empathy and emotional control. The researchers concluded that multitasking, especially involving the use of electronic devices for an extended period of time, could permanently change brain structure. When you are talking on the phone or sending a text while driving, your brain is simply not capable of focusing entirely on either activity. While switching between multiple tasks might feel smooth and continuous, in reality, it requires a series of small shifts, which drain mental resources and energy. A recent University of California study found that it takes up to 23 minutes and 15 seconds to refocus on a task after being interrupted. This also holds true for hands-free technology; even if your device is out of your hand, it is still taking up fundamental space in your brain. In 2009, the state banned the use of cell phones at all times for drivers under the age of 18, unless in the case of an emergency. Texting, emailing, and using Twitter were banned for all drivers. A proposal to ban the use of cell phones for all Colorado drivers failed to pass the Colorado Senate in January 2018. The measure would have prohibited talking and texting on hand-held mobile devices without a hands-free device. According to the Insurance Institute for Highway Safety, the use of hand-held devices by drivers is illegal in at least 15 states as well as the District of Columbia. GPS Systems. While GPS systems can make navigation while driving easier, they can also take a driver’s attention off the road. According to a February 2018 Market Watch report, the most distracting thing a driver can do while driving is programming a navigation device, followed by sending or receiving text messages and making calls. A 2017 AAA study found that drivers who use voice commands and touch screens to program GPS were distracted for an average of 40 seconds, compared to 30 seconds for talk-to-text. NHTSA recommends that visual/manual car tasks should take a driver’s eyes off the road for no more than 12 seconds. Talking to passengers. According to the American Council on Science and Health (ACSH), conversations with passengers can be just as distracting as talking on a cell phone while driving. Both were found to negatively impact reaction times, lane position, speed, safe following distance, and driver awareness, resulting in more collisions. Daydreaming. Although getting lost in thought can provide a much-needed break from a hectic day, doing so while driving can be fatal. According to data compiled by Erie Insurance, approximately 1 in 10 auto accidents involve a distracted driver, and daydreaming was the top distraction leading to fatal accidents; 61 percent of all distracted drivers said they were daydreaming when a collision occurred. When you are driving, your car should have your full attention. Any activity that keeps your eyes and attention off the road is a distraction. Minimize the distractions that can lead to serious injuries and even fatal auto accidents however you can. For more resources on vehicle accidents or personal injury, visit our Colorado Accident Law Blog. I felt like I was in very capable hands with your firm. I will be recommending your firm to my friends and family. Thank you so much for taking my case. Injured in an Accident Caused by a Distracted Driver? If you or a loved one has been involved in an auto accident involving a distracted driver, the fastest way to find out if you have a case is to schedule a free consultation with me. At the Law Offices of Daniel R. Rosen, our goal is to get you through your accident and injury claim as quickly and smoothly as we can. I’ve earned over $100 million in settlements for my clients and personally handle every single case that comes across my desk. I can get you the settlement you deserve, and you won’t pay a penny until I come through for you. Fill out this form to tell me about your accident and schedule a free consultation.